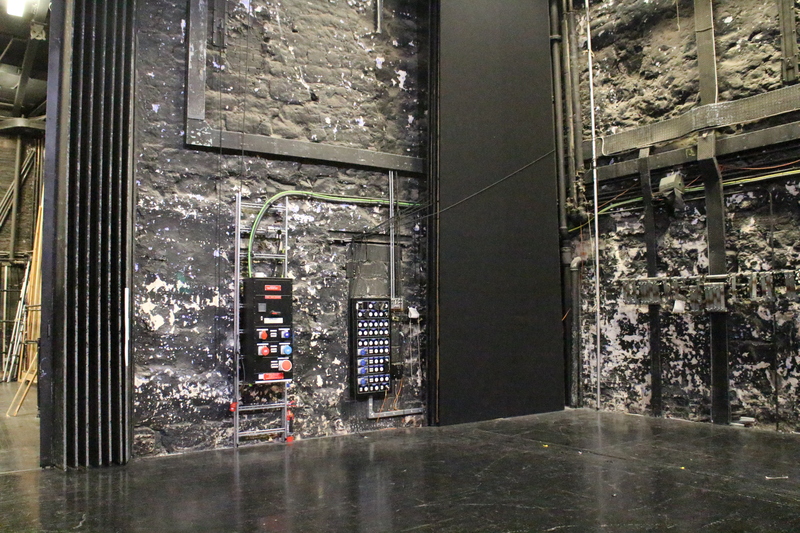 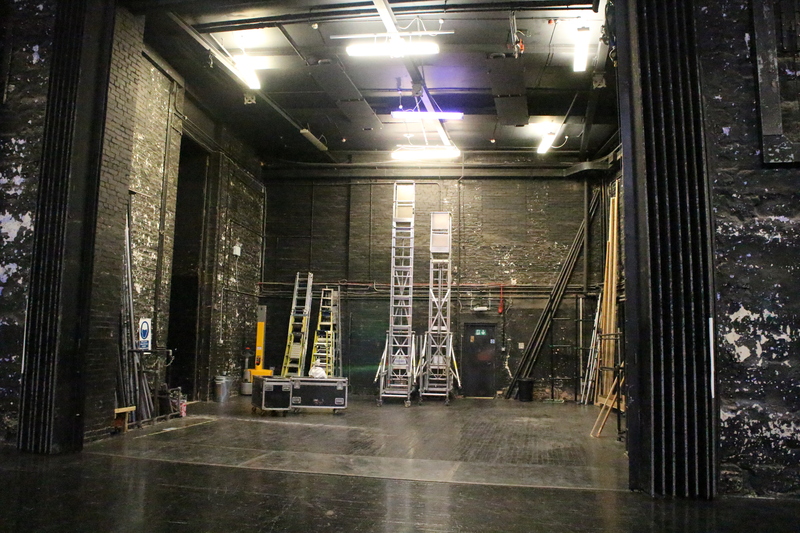 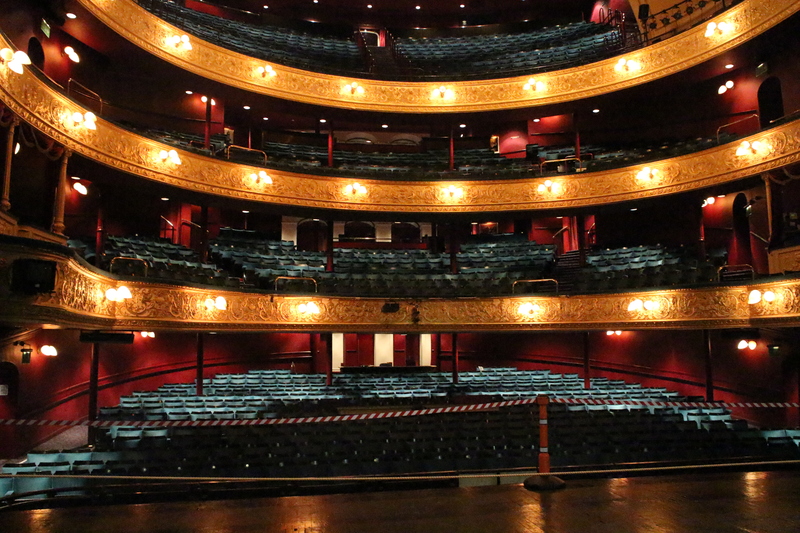 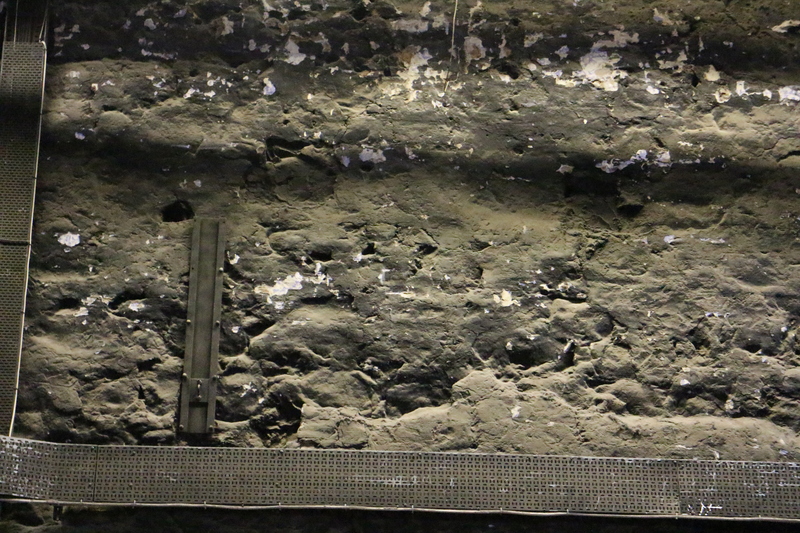 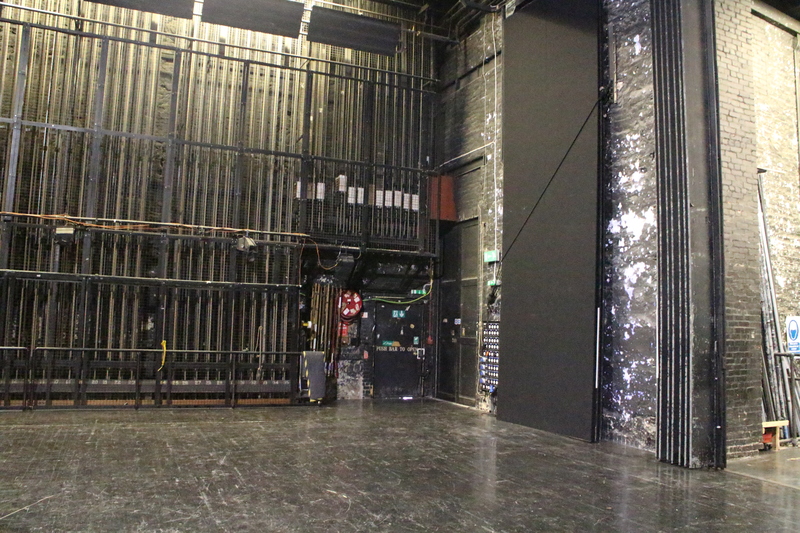 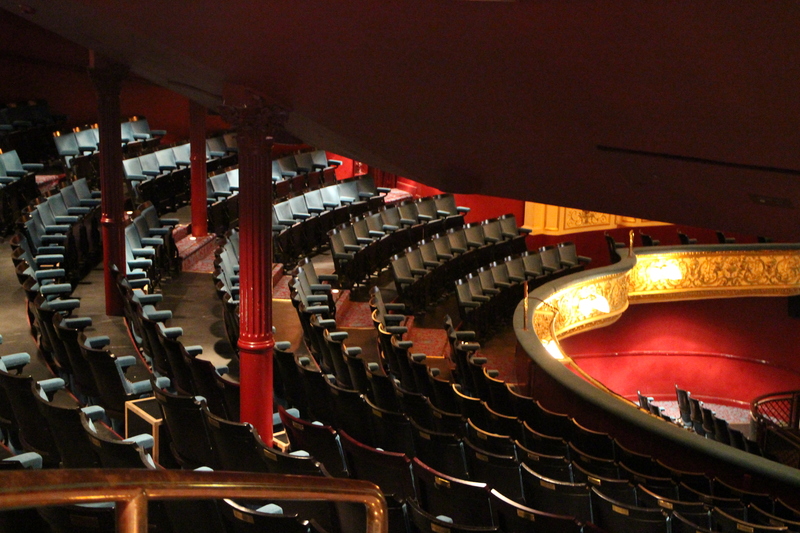 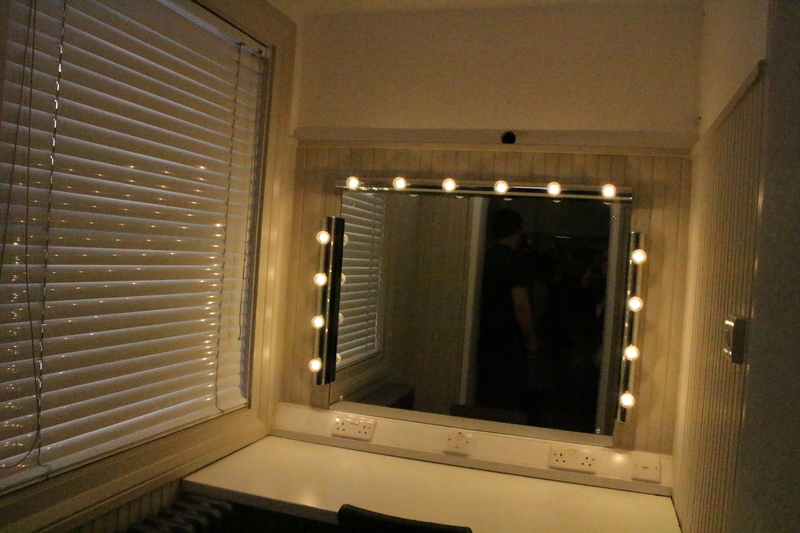 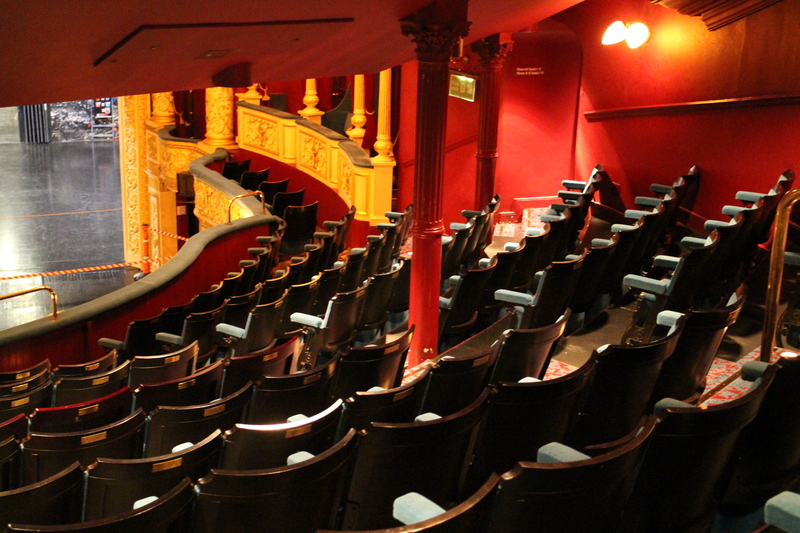 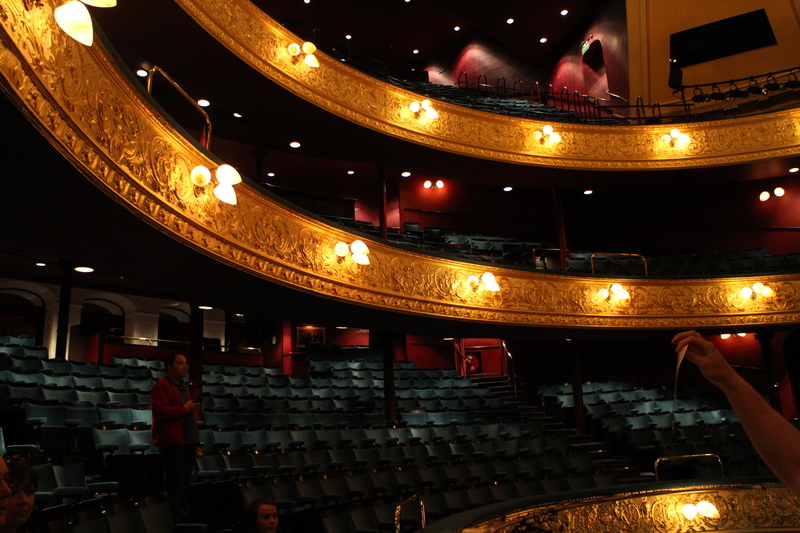 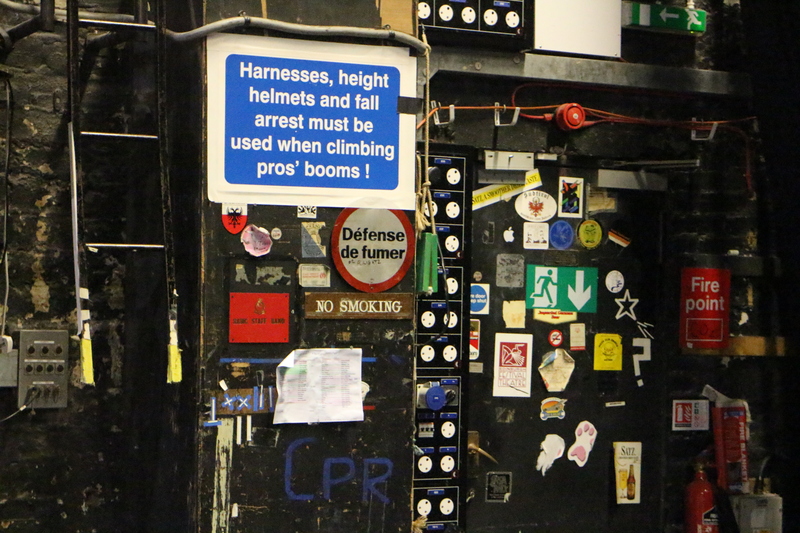 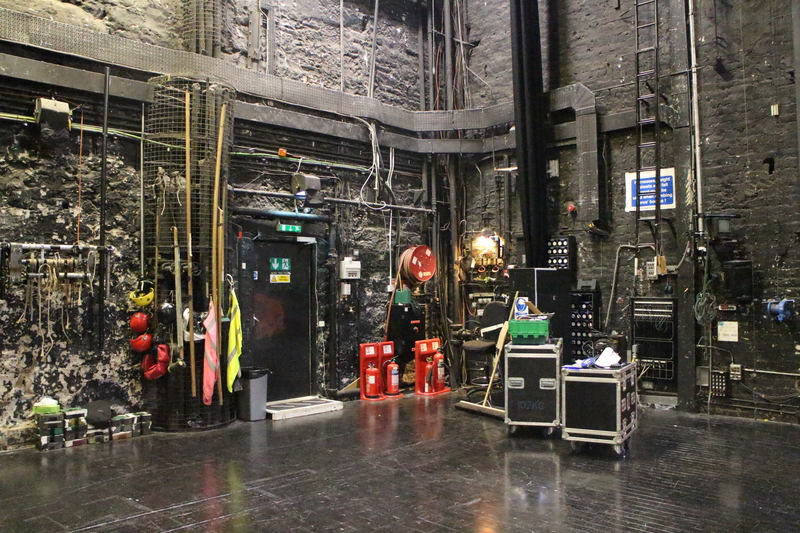 Here is a glimpse behind the scenes of Glasgow’s oldest and Scotland’s longest-running theatre, the Theatre Royal. 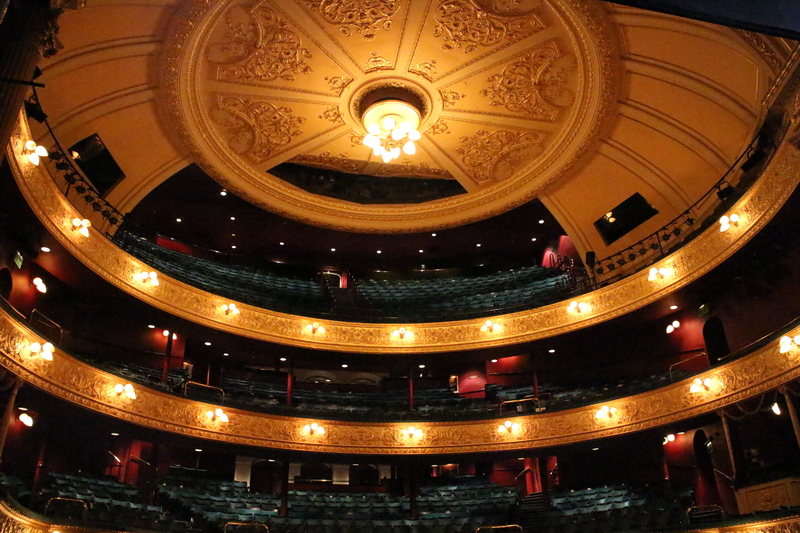 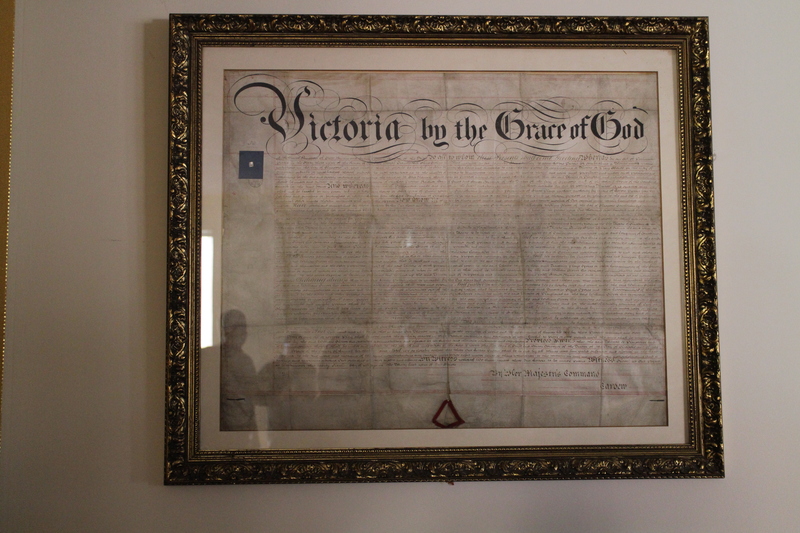 Originally opening as the Royal Colosseum & Opera House in 1867, the theatre changed its name in 1869 on receiving its royal charter (and confirmation of respectability) from Queen Victoria. 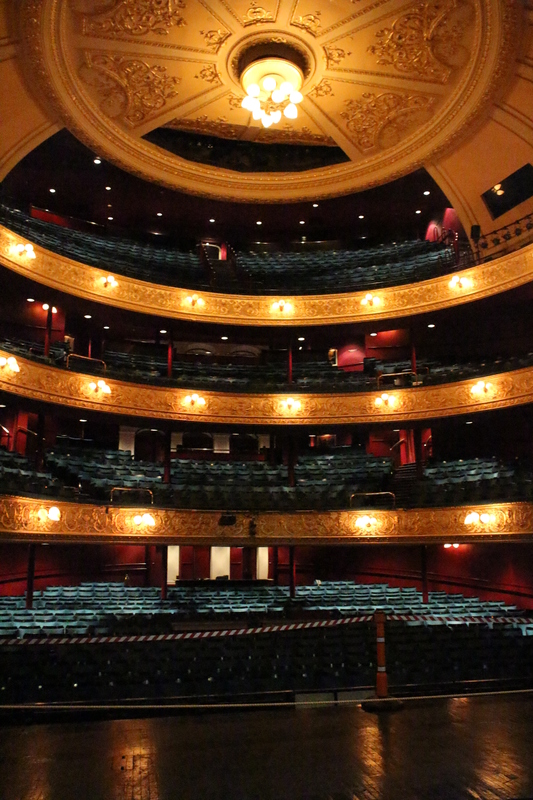 Literally hewn from the stone quarry below, it has survived multiple fires, changes of ownership and a stint as the headquarters of Scottish Television and now stands resplendent on the corner of Hope Street and Cowcaddens Road, its Victorian auditorium restored to its full glory and its 2014 extension shining like a splendid jewel. 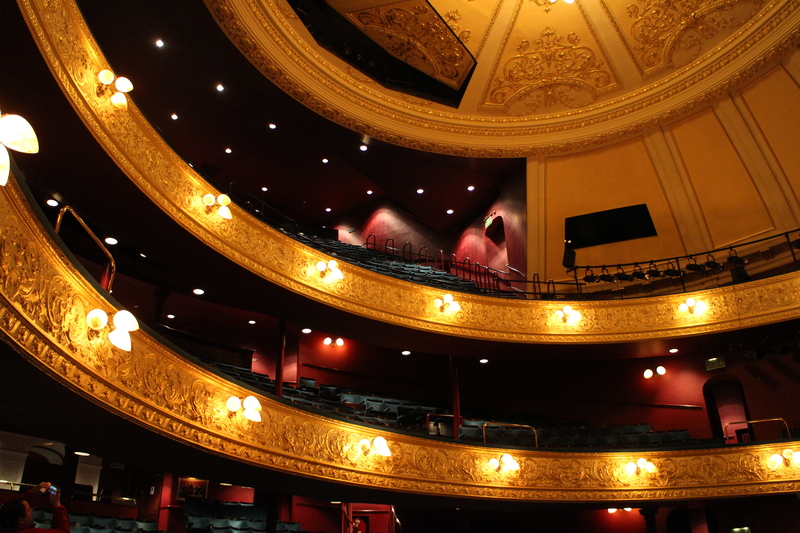 Home to Scottish Opera and Scottish Ballet the grande dame of Scottish theatre is better than it has ever been in its near-150 year life. 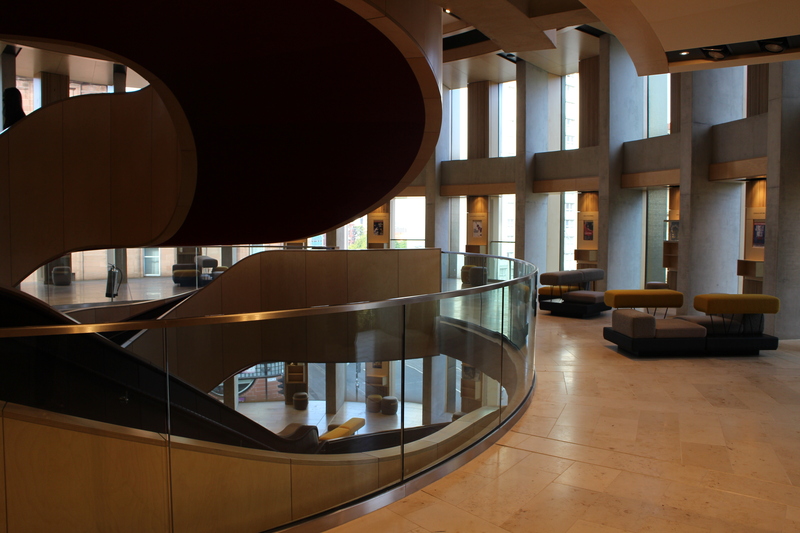 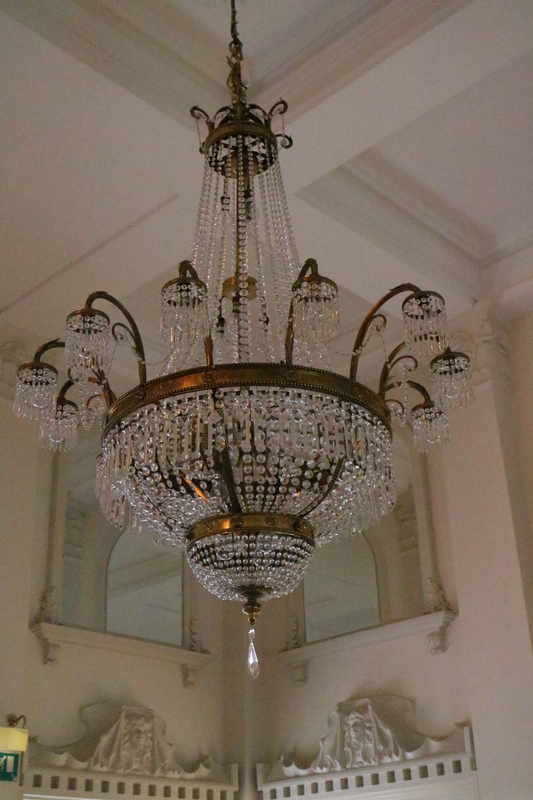 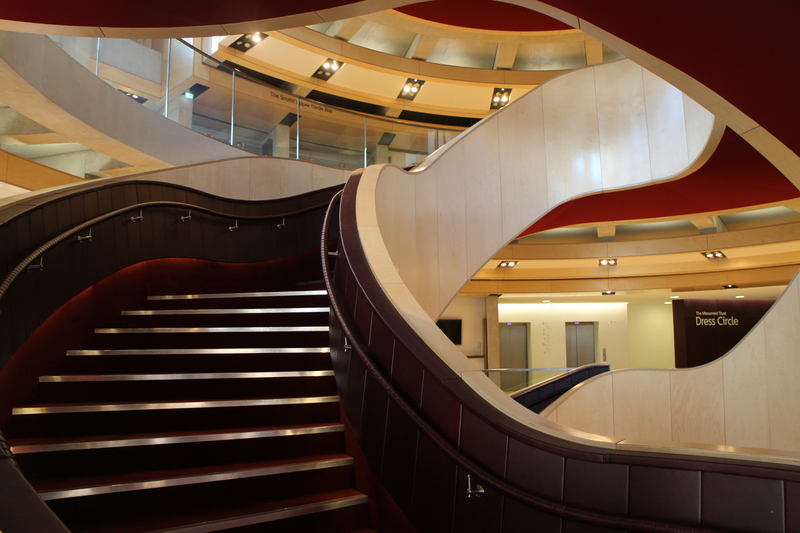 The new foyer and staircase designed by Page and Park and opened during the 2014 festive season.